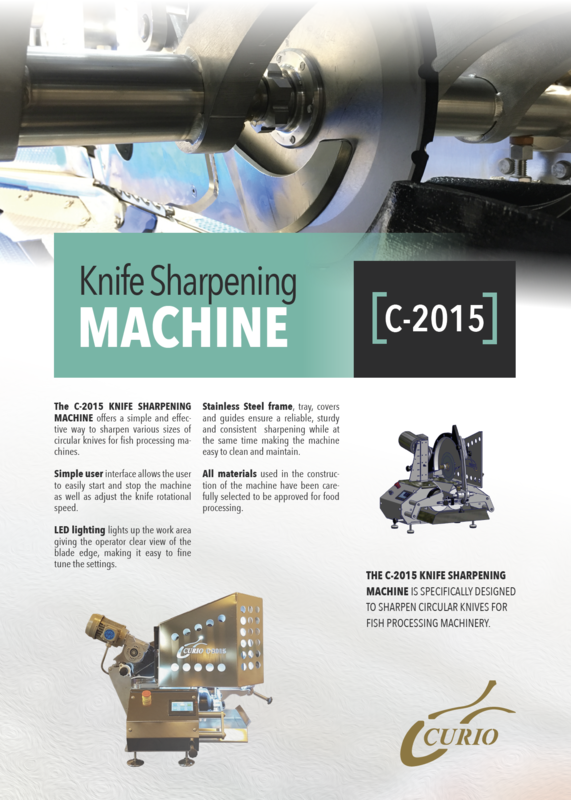 The C-2015 knife sharpening machine offers a simple and effective way to sharpen various sizes of circular knives for fish processing machines.  A simple user interface allows the user to easily start and stop the machine as well as adjusting the rotational speed of the knife. LED lighting lights up the work area, giving the operator a clear view of the blade edge, making it easy to fine tune the settings. 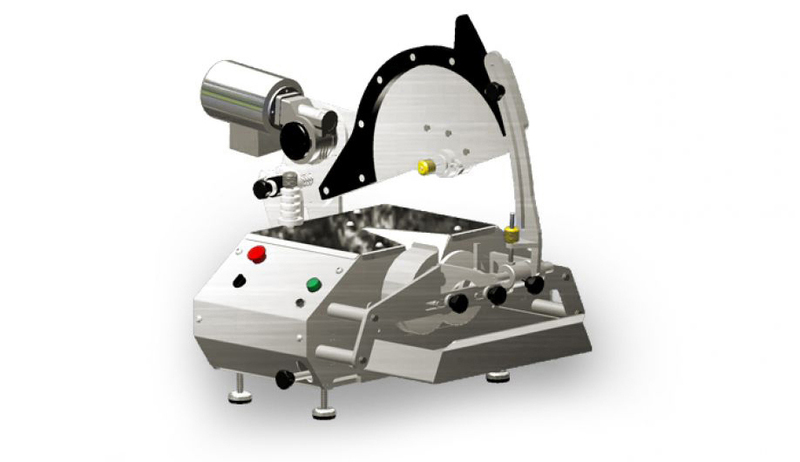 A stainless steel frame, tray, covers, and guides ensure a reliable, sturdy, and consistent sharpening while making the machine easy to clean and maintain. All materials used in the construction of the machine have been carefully selected to be approved for food processing. Do you want to know more about this machine?